A medium power energiser with integrated high capacity solar panels. 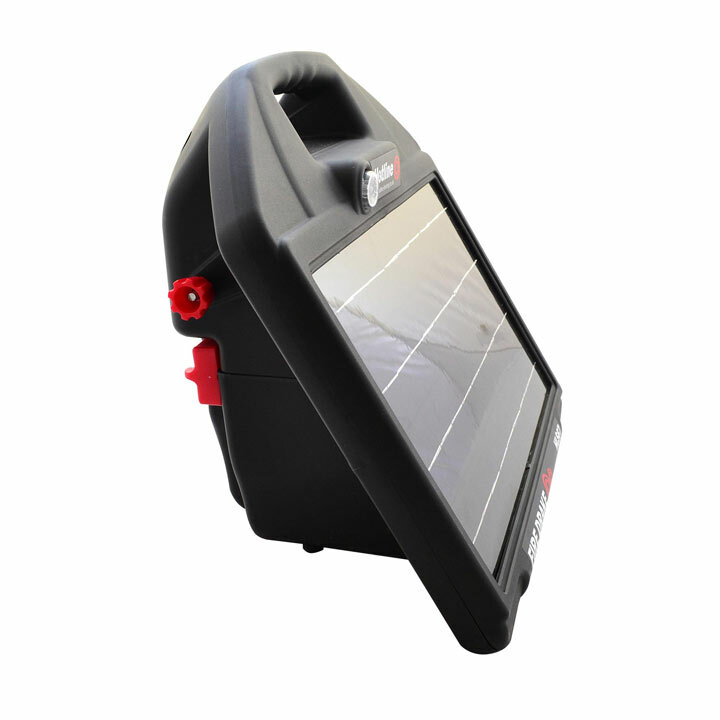 The Fire Drake energiser outputs 0.5 joule from 10 watt solar panels. A battery charger is included to help keep the battery charged during the winter months. Can be mounted on T section earth stakes or wooden or metal fence posts.